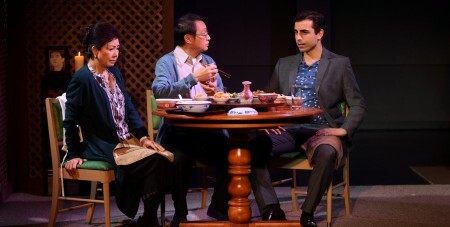 From left to right, Alannah Ong, BC Lee and Michael Antonakos in Ga Ting. Photo by Ray Shum. Alannah Ong, the renowned Hong Kong TV star, has been nominated for best supporting actress for her role in Ga Ting in the upcoming 32nd Annual Jessie Richardson Theatre Awards. Ga Ting (excerpt featured in Ricepaper Magazine 18.1), Minh Ly’s first play, explores an immigrant Chinese couple grieving over the death of their only son while trying to come to terms with his ideals and sexuality through a dinner with his white, ex-boyfriend. Ong portrayed Mai, the suffering mother who desperately tries to see her son as who he is while being unable to completely detach herself from the values and perceptions that shape her. Her performance highlighted the complexities of the play that are more than merely a “gay Asian experience” as she delivers the heartbreaking performance of a mother forced to confront her own prejudices and maintain her family values at the same time. 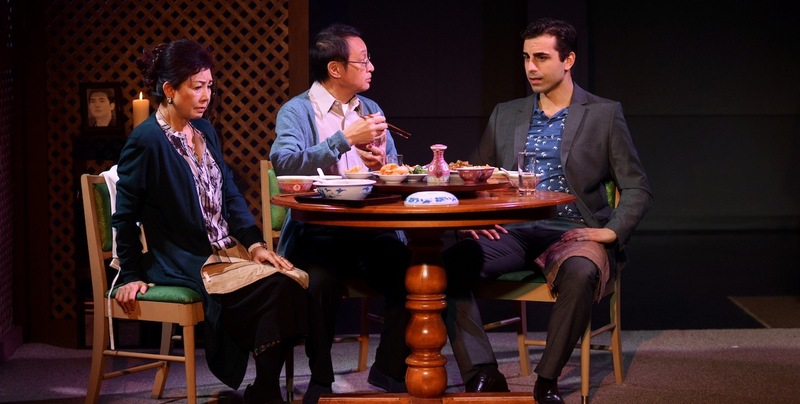 The depth of Ong’s performance helped Ga Ting to rise above the labels of “Asian” or “gay”, and be a play about family – a Canadian family dealing with communication breakdown, generational clashes and understanding loss. Ms. Ong’s nomination is the first Jessie nomination for Vancouver Asian Canadian Theatre (VACT). The 32nd Annual Jessie Richardson Theatre Awards will be held at the Commodore Ballroom on Monday, June 23. Tickets are available through Ticketmaster.